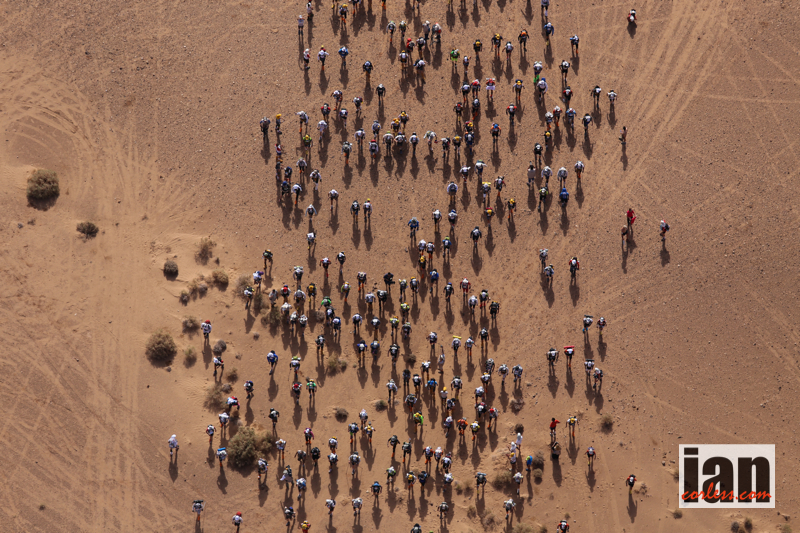 MDS, Marathon des Sables, The Toughest Race in the World… whatever you want to call it, the 30th edition is just around the corner. Think about it, 30-years. It’s quite incredible how this race has grown and has become ‘the’ multiday race to do irrespective of experience. It was the first and arguably is still the best offering an ultimate adventure for novice and experienced runner. 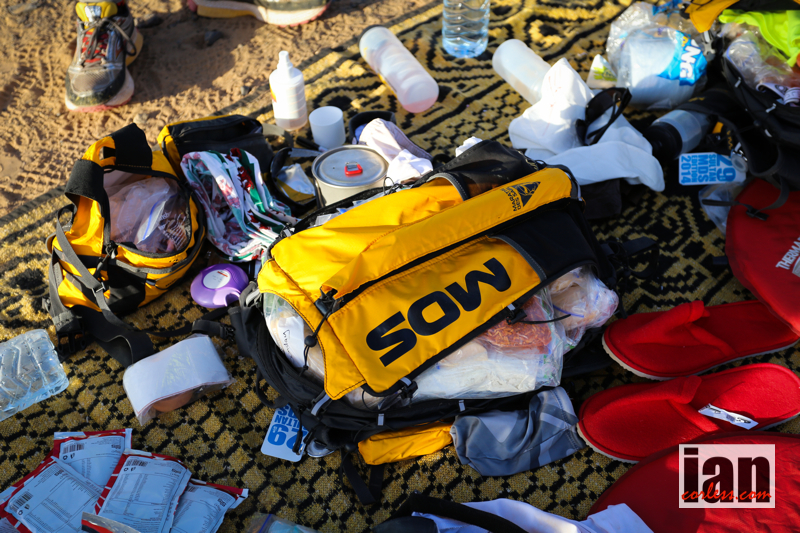 Many a runner has started a passion for running at MDS and as such; the race will always be an important landmark for many. But it’s more than a race. It’s an experience, it’s escape and it’s a challenge. 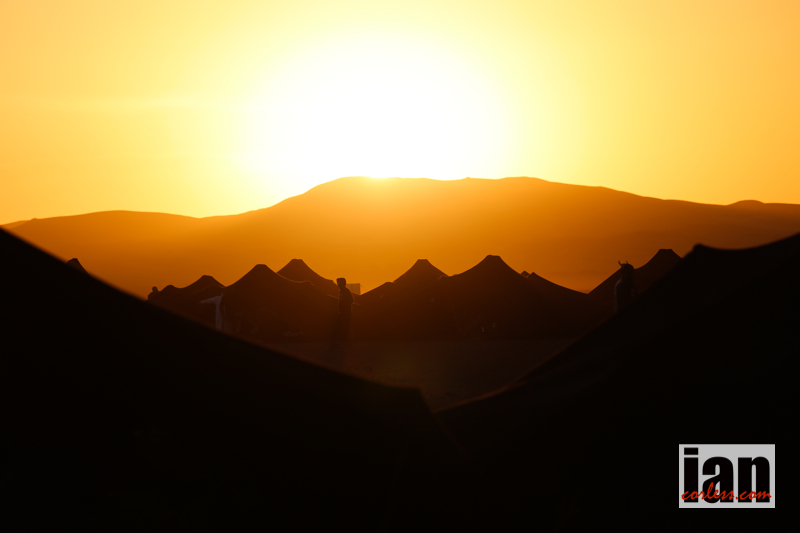 The combination of self-sufficiency, life in bivouac and running 250-km’s through the heat of the Sahara is something that those that have experienced it will never forget. It is the story of life, a story of men and women who have come to the heart of the desert to rid themselves of the superficial to keep only the essentials and get in touch with their true selves. For the past three decades, some 18,000 runners have signed up for this experience, so, with the imminent running of the 2015 edition, it’s fair to say that race will see a great number of participants returning to ‘celebrate’ a very important birthday. Lasting six days participants must be self-sufficient carrying everything they need in a pack. 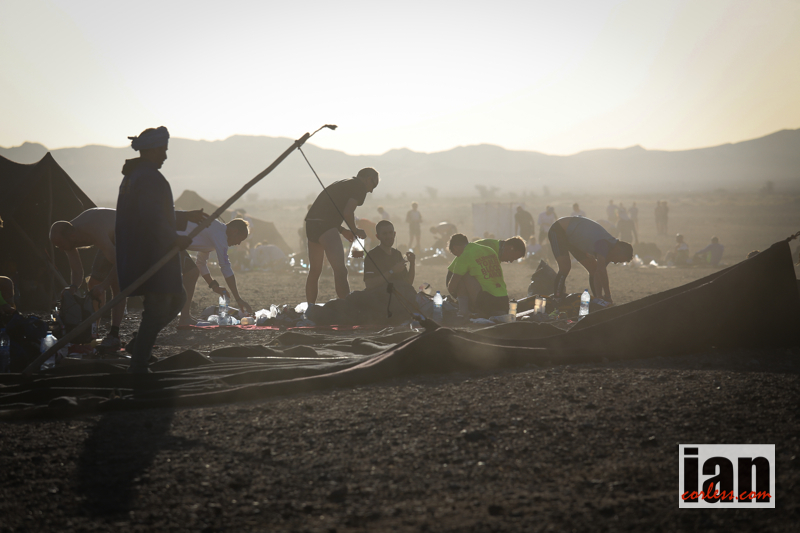 Water is provided but rationed and a tent (bivouac) is provided each evening that must be shared with seven other participants. The 2015 edition of the race will be 250-km’s offering a series of challenges that will test the mind and body in equal measure. 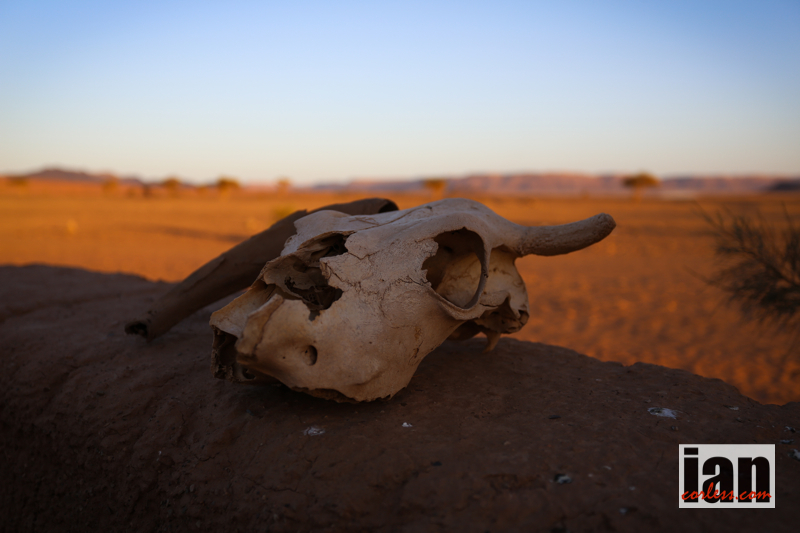 Dunes, djebels, ergs and dried-up lakes offer a stunning backdrop that must be traversed. 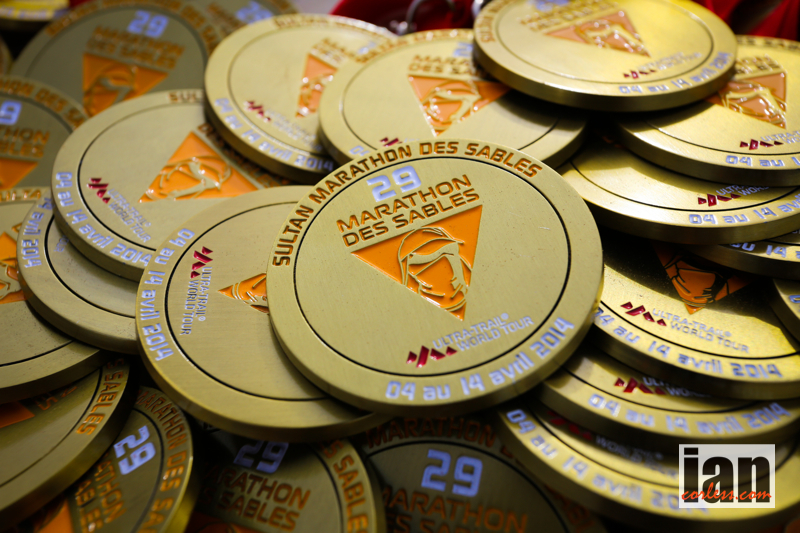 Battling against sand, heat and above all the mind completing the 30th edition of the Marathon des Sables will be a dream come true for those who toe the line. Here we have a very uneven playing field and a sufficient number of kilometers to make their presence felt. Competitors will have to run, avoid the obstacles and climb the surrounding uphill sections. The first dunes are between CP1 and CP2. 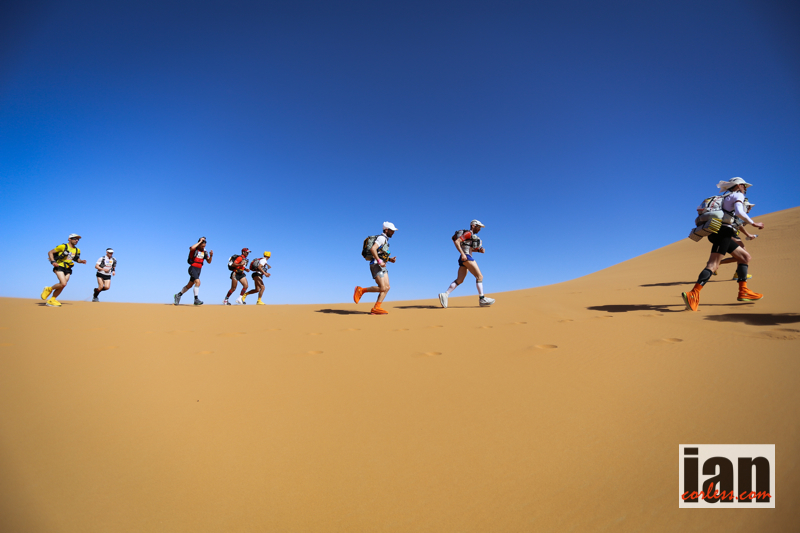 It is fair to say that day-1 of the 30th MARATHON DES SABLES will be a long one. Those who imagine the desert to be flat are in for a surprise. Three steep little climbs form this second leg, with gradients reaching 30%… A new kind of roller-coaster ride which will open up landscapes that will be a sight to behold. Sand will be omnipresent today with some stony sections and some dried-up lakes. There will be a little something for everyone with some uphill sections here and there. A tough initial climb will hurt the legs, especially as it’s going to be a long day. Indeed this particular day will be the longest leg in the history of the MDS. And if that wasn’t enough, a climb of nearly a kilometer up a djebel awaits. At the summit runners will have 360° panoramic views. As for the descent, well it’s steep! 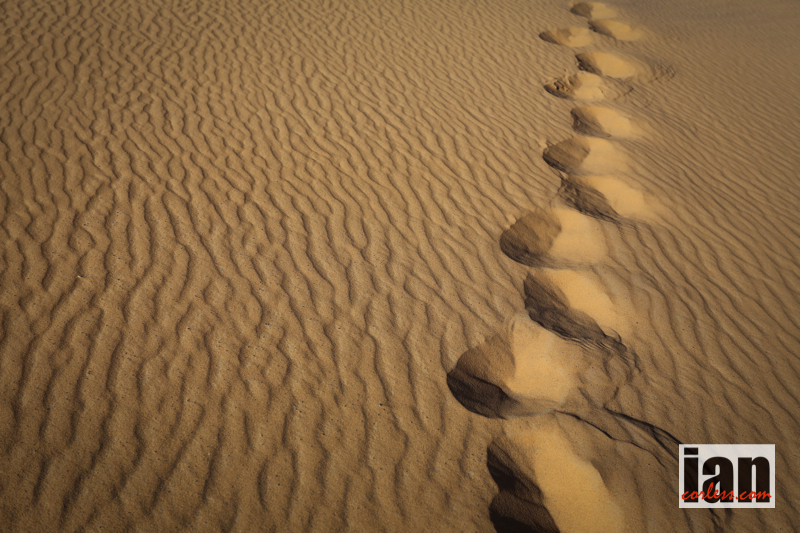 After that, runners then traverse dunes, dried-up lakes and more dunes! 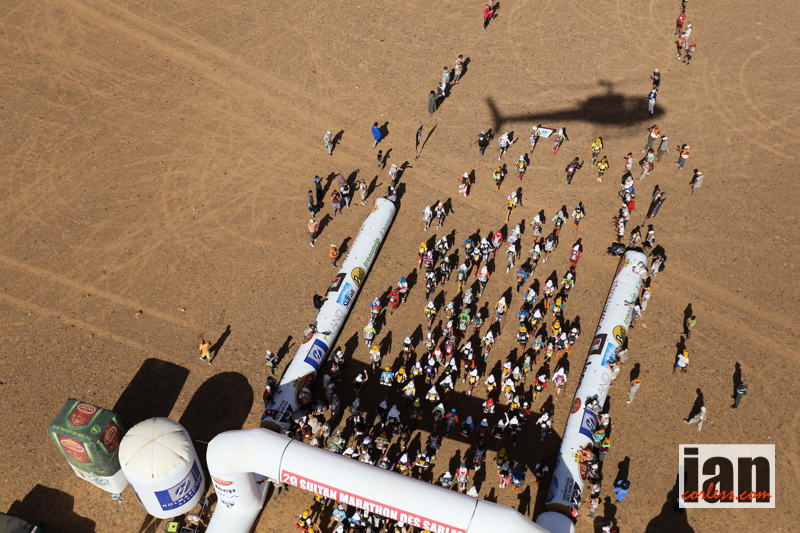 Today’s route has a mixture of terrain that are hallmarks of the MDS, it’s a classic day! a time for reflecting on the experience of this fine human adventure and is a united show of awareness before returning to civilization. Antoine Guillon was second three times, third once and fourth three times in the Diagonale des Fous in addition, he is always well placed in the UTMB. 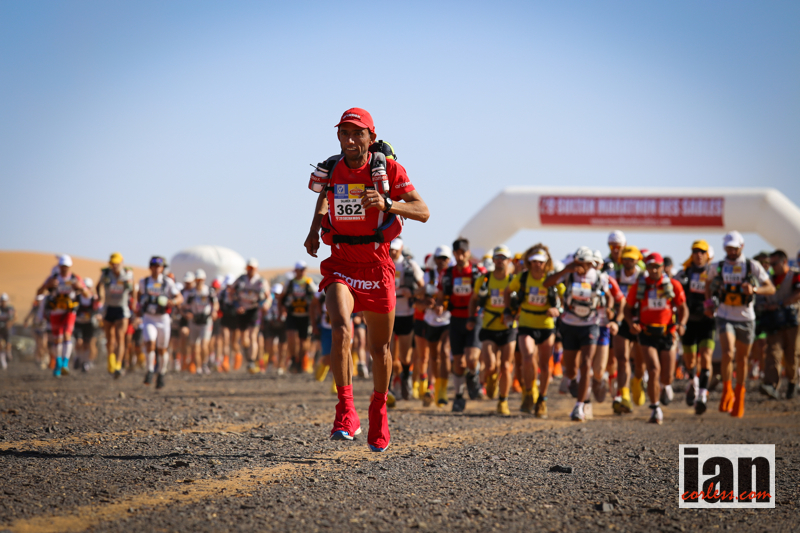 Offered a place by the UTWT, Antoine will try his luck in the 30th MDS for the first time. 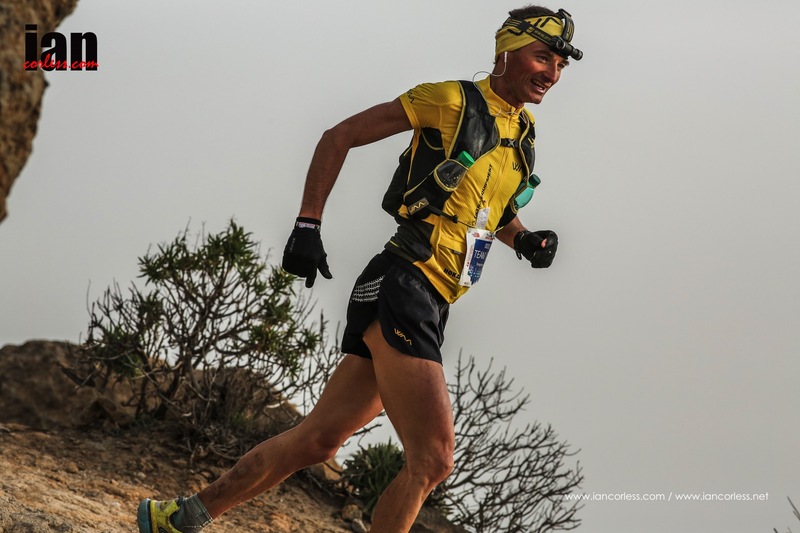 Antoine just placed 3rd at Transgrancanaria, so his form is good. Can he recover in time? Christophe Le Saux never seazes to amaze me with his relentless racing calendar, he was 10th in 2014, 9th in 2013, 6th in 2012. Carlos Sà is a regular at MDS and has a wealth of talent and experience to excel. He was 4th last year’s, 7th in 2013. 4th in 2012 and 8th in 2011. 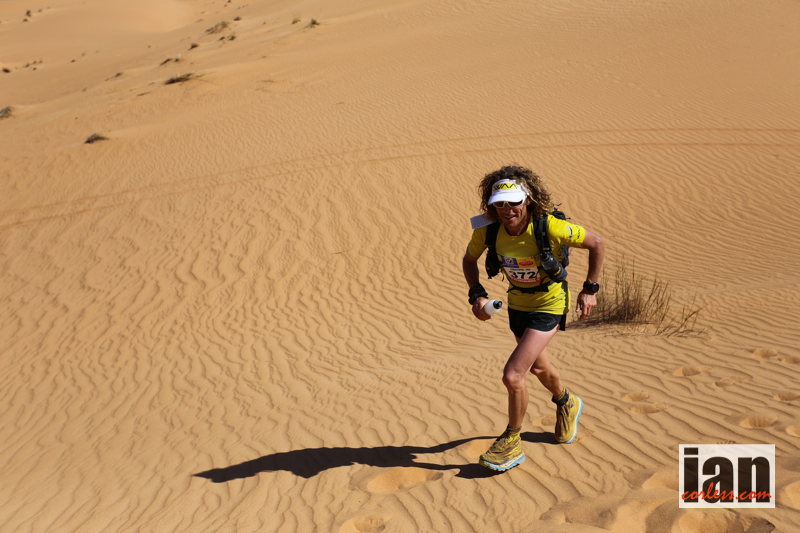 Dave Mackey has been one of the top American ultra runners for many years and he has excelled at the 100-km distance. His participation at MDS marks a new departure for him and it will be interesting to see how he handles racing over multiple days. Javier Teixido Marti-Ventosa is the 2014 winner of the Andorra Ultra-Trail Ultra-Mitic (112km). Danny Kendall gets a nod from a UK perspective. He placed 5th last year and we can only hope that he moves up the rankings with a podium place. 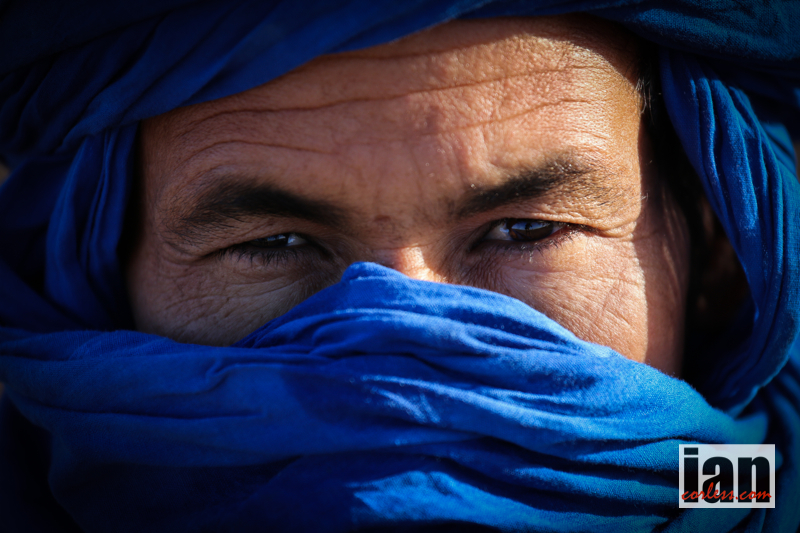 He knows the race, he knows the conditions and he understands survival in the Sahara; he just needs to bring it all together once again. Mohamad Ahansal like his brother, Lahcen needs no introduction. 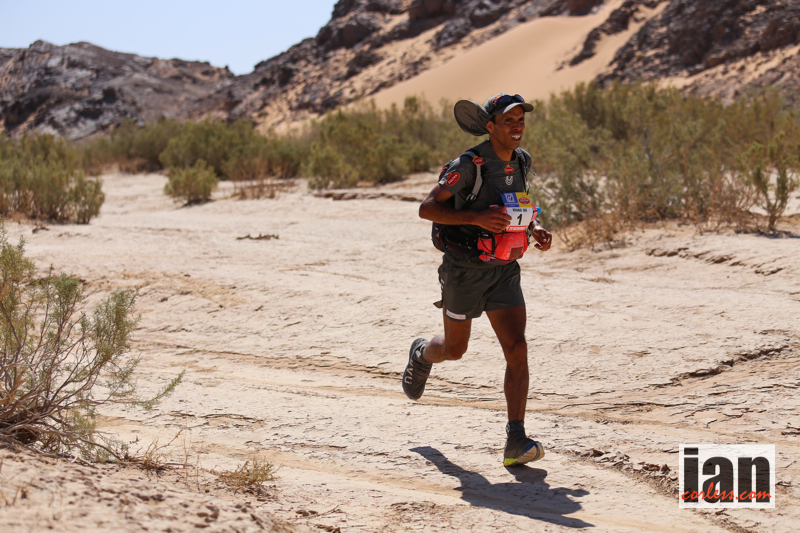 He has 15 participations in the MDS, which includes 5 victories. He has been 2nd no less than 9 times and 3rd in 2014. Abdelkader El Mouaziz placed 7th in 2014 on his first participation, he will be looking to improve in 2015. Samir Akhdar has had several participations at MDS placing 6th in 2011 and 7th in 2009. Salameh Al Aqra is always smiling and a great presence in the race, he was 1st in 2012, 2nd in 2008, 2010, 2013 and 2014 and placed 3rd in 2009 and 2011. Laurence Klein targets her 4th victory after making the podium in 2014 and 2013. Meghan Hicks champion in 2013, missed 2014 through injury and will be setting her sights on a 2nd win. Liza Howard is the holder of a number of 100-mile race records and American champion over 100km and 50 miles in 2011, should have what it takes to treat the United States to a third crown in a row after Nikki Kimball and Meghan Hicks. Jolanda Linschooten gets a heads up from my friend Jeroen Krosse and he says, ‘one to watch’ for sure. So I agree, she is one to watch. Jolanda has been 2nd and 4th before! Claire Morrisey is the British hope who returns after placing 7th in 2014.
his encounter with this legendary race, which has transformed his life. “I looked on with curiosity and amazement as the 23 athletes took the start of the first edition in 1986. From then on, I constantly dreamt that I, a nomadic child, would participate in this race. It has spurred on my life and created in me such a strong desire for sporting and human emancipation that I moved mountains to make my dream a reality some seven years later. 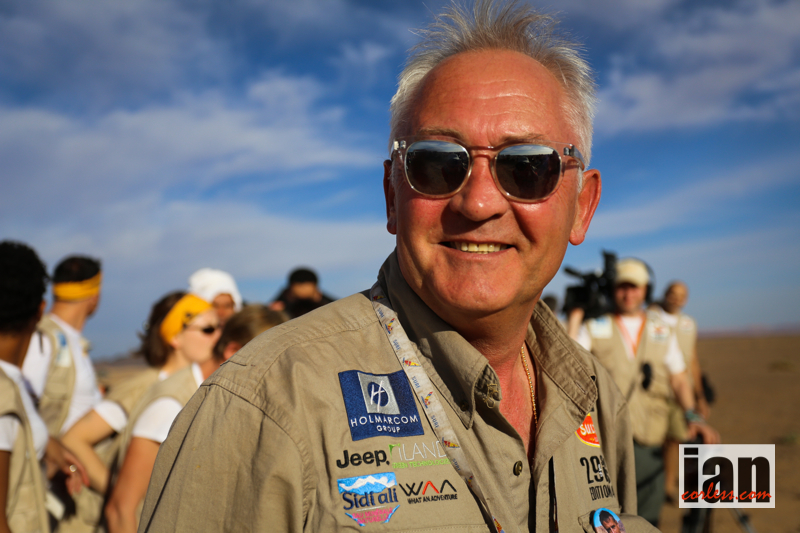 It’s thanks to this race that I’ve become the man I am today.” Also of note, is the fact that another blind runner will participate in this edition as Didier Benguigui is returning with his guide, Gilles Clain, to celebrate his 11th edition. The famous British explorer, Sir Ranulph Fiennes, is embarking on a new adventure at 71 years of age. After earning the title of first man to reach the North and South Poles via land, the first person to traverse the Antarctic entirely on foot and the oldest Briton to climb Everest at 65 years of age, he now wants to become the oldest Briton to etch his name on the list of SULTAN MARATHON DES SABLES 2015’ medalists. 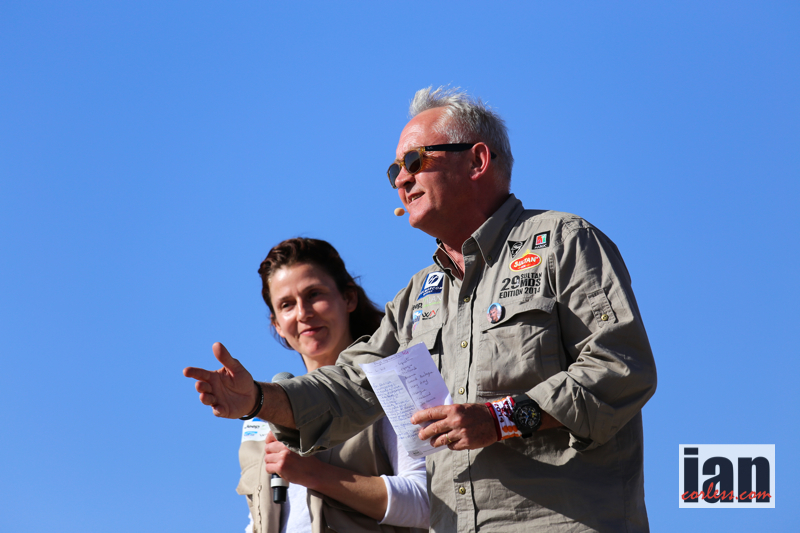 A native of Luxembourg, Simone Kayser Diederich, 3-time champion of the MARATHON DES SABLES (2002, 2004 and 2005), will take the start of this 30th edition to celebrate her 60th birthday and her 14th participation. 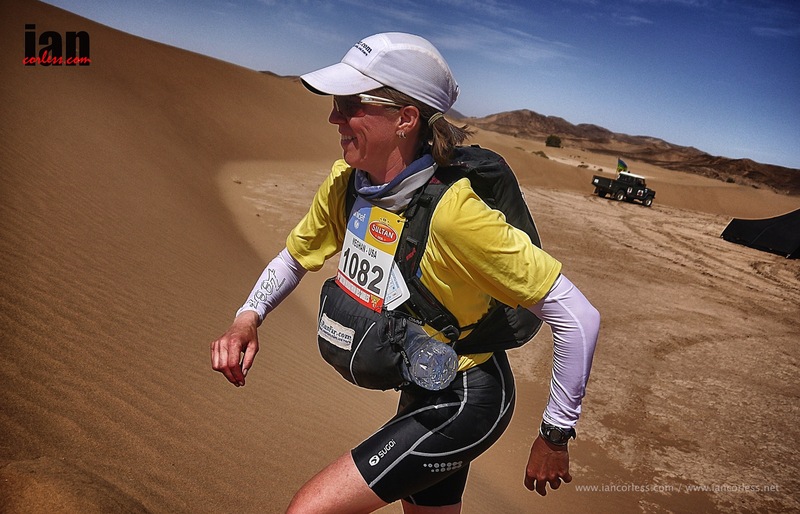 It’s a similar scenario for Moroccan Nadia Dadoun, 56, who will celebrate her 16th participation in this SULTAN MARATHON DES SABLES 2015, which is a record number of entries among the event’s female contingent. 15 years of age for the youngest competitor and the oldest, 83! Here is a who’s who of those 29-years. 1991: The gulf drama puts the MDS at a disadvantage and the financial partners withdraw. Fortunately some runners answer the call. For these competitors, the true victory lies in meeting athletes from different backgrounds and their communion in the desert around the same goal. Sport proves once again that it can bring people together and create bonds. 2000: Internet puts in an appearance in the large MDS village. The organization decides to broadcast the texts and photos of the race live, day after day. The competitors can communicate with their nearest and dearest and receive messages of encouragement. 2006: A drying wind and very high humidity levels cause damage to the runners’ bodies. Despite additional allocations of water, a whole series of retirements ensues. There are a total of 146 retirements ultimately, which equates to double that of the previous record… Race management decides to shorten the long leg by over 10km given how tired the runners seem. 2013: 1,027 competitors on the start line make this a new participation record. 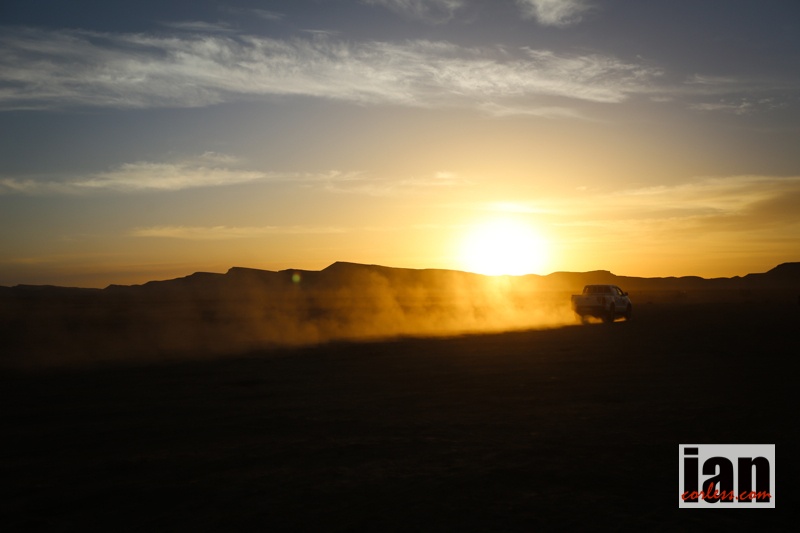 New feature: a final “Charity” stage sponsored by UNICEF and traversing the Merzouga dunes round off the race. Sportswise, Mohamad Ahansal and Megan Hicks are the champions of the 231.5km event. On a human level, all of the finishers pull off their crazy bet. FOLLOW THE 2015, 30th EDITION on this WEBSITE in words and images. 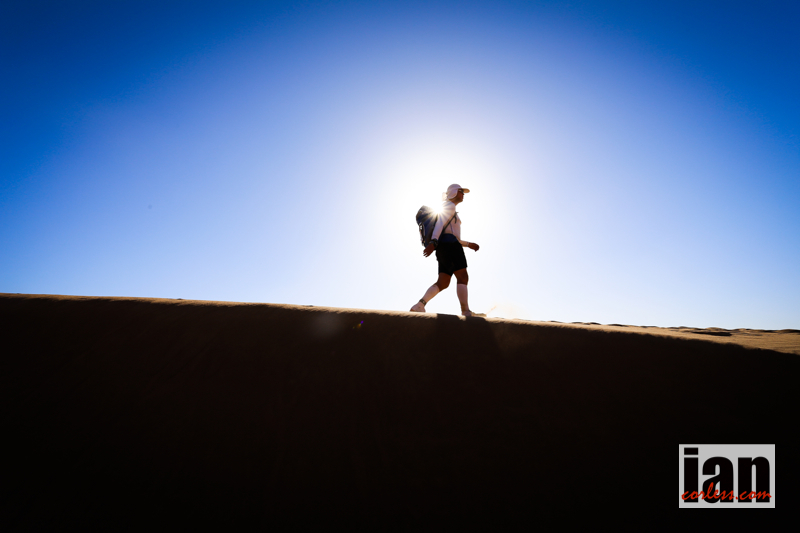 This entry was posted in Uncategorized and tagged 30th edition, Ahansal, bauer, Desert, kimball, klein, Marathon des Sables, MDS, mds2015, Morocco, patrick, ranulph fiennes, Running, running in the desert, Sahara, tougest race in the world, Ultra, Ultra Running, usa, WAA by talkultra. Bookmark the permalink. WoW,what een expirience , Ronnie good luck. I love this race! Will go for 31st!